The popular phrase, “never say never,” is something John Maxwell understands well. With no intentions of ever working in the family business, Maxwell Roofing & Sheet Metal, Inc.’s president now proudly carries the torch of his family’s business legacy in Middle Tennessee, Southern Kentucky, and Northern Alabama. John’s father, Ken Maxwell, a decorated B-17 Bomber Squadron Commander, started the business as Maxwell-Webster Roofing in 1956 as a Nashville branch of the company he worked for in Knoxville. In 1963, Ken bought the Nashville branch from the former owners and established Maxwell Roofing & Sheet Metal, Inc.
Before graduating from Tennessee Technology University in 1976 with a degree in electrical engineering, John worked for the family business during his summer breaks in various roles from helping in the business office to assisting estimators and project managers. Upon graduation, John found himself diving in full-time at Maxwell Roofing & Sheet Metal, Inc., where he has served for the past 42 years. From his beginnings as an estimator trainee, John never imagined how his career would evolve during the next six years. In 1982, John’s father fell off a roof, landing on his head and injuring him extensively. Though he recovered substantially, Ken couldn’t continue managing the company, and John took on a general manager role to keep things moving along for Maxwell Roofing & Sheet Metal, Inc. In 1986, John formally became the company president and majority stockholder. “The 80s were tough for Maxwell Roofing & Sheet Metal, Inc.,” says John. “With the generational shift in leadership and a compilation of industry changes, we muddled through,” he added. As the commercial roofing industry had been dominated by the old “built-up” tar and gravel style roof, technology gave way to single-ply roofing during the 1980s. The 1990s were more stable for Maxwell Roofing & Sheet Metal, Inc., as single-ply roofing gained popularity, and the company was tuned into the growing trend. “The 90s were a decade of growth for Maxwell. We consolidated the company and entered a season of expansion,” affirms John. In 1993, John hired his brother, Dan, to join the company from the automotive industry as parts/tools designer. Dan is still here today and is one of the owners of the company. In 1997, another stockholder, Keith Stiles, joined Maxwell Roofing & Sheet Metal, Inc. with a reputable roofing background in Arkansas. “The three of us have been growing the business ever since,” says John. Maxwell Roofing & Sheet Metal, Inc. has been operating in the same industry and geography, using evolving technologies and practices, to serve the same market for more than 60 years. Today, John is proud that two of his own children, Kathleen and David, have been involved in the family business for several years and that they will carry the business forward to a new generation. “Seeing my children step in and serve in such leadership capacities truly shows our family commitment to the business and the commercial roofing industry,” says John. 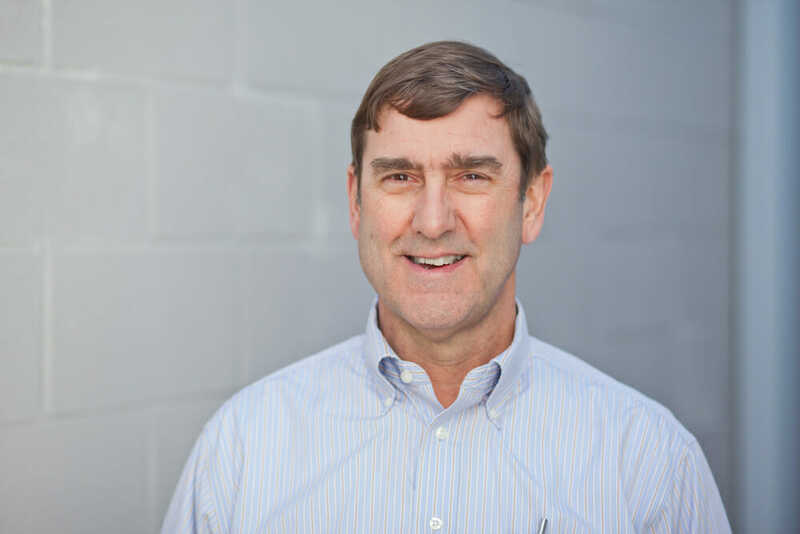 As the company president, John’s current role is significantly different than it was at first. “For most of my career, I wasn’t truly a company president. I was more of an operating manager who was involved in business tasks such as sales, project management, general management, and more,” says John. Only in the last few years has John backed away from most of the daily business operations. As he prepares to pass the baton, his main goal is to make sure things run more smoothly than when he took over. “It is now necessary for me to remove myself from being a part of every small company detail. Maxwell Roofing & Sheet Metal, Inc.’s growth has lended to the need for a true president who oversees the company’s vision,” says John. John now has five direct reports and around 75 employees who handle the day-to-day operations, and he tries to be a resource for anything they might need. “I love testifying to our company’s capabilities to current and potential clients who want to know we are both capable and reliable. I get involved in strategic accounts and am still involved in overall administration,” he adds. “If you look at what we’ve done rather than just what we say, you’ll see who we truly are,” says John. Maxwell Roofing & Sheet Metal, Inc. has been on the same street in Nashville for 62 years. They’ve been considered as a tier-one roofing company and are leaders in the market not by their acclamation but by their results. John explains, “The real competition (the ones who are truly ‘in the business’) does what it takes to be ‘in the business.’ The others are just imitators.” One of Maxwell Roofing & Sheet Metal, Inc.’s core values is professionalism, which is evident to our customers. “Keith told one of our employees once, ‘This is how I feed my family.’ Our work is thatserious, and such a statement is the mark of a professional. The professional takes the challenges of life seriously. The amateur tries everything but doesn’t plant and dedicate his or her life to the vocation. Professionalism requires a high level of confidence. People who want to do business with us do so because we take our work seriously and are confident in our abilities and service,” affirms John. A true Middle Tennessean, John grew up in Nashville, Tennessee, attending the Saint Henry School and Father Ryan High School. Beyond the office, John a genuine family man. John and his wife, Betty Ann, have been married since 1977 and just recently celebrated their 41st wedding anniversary. Together, John and Betty Ann have four children—David, Sarah, Rachel, and Kathleen. They have two grandchildren, Henry and Gilbert, both David’s sons. On occasion, you can find John golfing or exploring the outdoors at Percy Warner Park (which he’s been doing since age 5).